Yeah, I've completed most of them. The side quests were a really nice touch to the atmosphere and look at the inner workings of Alola, but they were pretty come-and-go. The anime, on the other hand, has as much time and as many episodes as it needs to go over some stuff or character motivations that weren't able to be added to the game. The exact same thing happened with X and Y. If we're being honest, these games would've fared better on the Switch, with an extra year of waiting. The game would've looked much better at a higher resolution and you would actually be able to see the smaller details that they put it in. And the Switch cartridge storage size and system specs would've been better suited for these games in terms of adding more story and content, the 3ds has a hard time handling them as is. Ducolamia and blizzardblaze like this. Many of the new Pokemon are just too hard to find, either because they have low encounter rates or they have obscene requirements (this in the case of Marenie, who can only be found by getting a Corsola, which itself has a low encounter rate, to call one via SOS battles). I am not a fan of the revamped fishing. It just makes everything that isn't Magikarp too hard to come by. Making outfit colors version exclusive was a bad idea and was just a way to force people to use the Festival Plaza. OshyHikari, Ducolamia and SubtleVVeirdoh like this. I agree. Especially with the rarity of the pokemon in games like X and Y (as much as I'm not a fan of them), the distribution was nice enough so you got a variety of pokemon to chose from. Not with this game. In USUM it's better, but the encounter rate is so infuriating. I spent a half an hour trying to get a Pichu. In the first couple of routes. Ew. Another thing that I think is a flaw is that festival plaza is garbage. You don't even need to use it because you get items cheaper with your money. But for some reason, instead of making things like battle items available to make the place more appealing, they force clothes colors and sometimes other things for you to get in there. They had to have known that no one would use FP is there was no reward for it. Why get clothes if they're already available in the game? The same with pokeball sets as well. Ridiculous. You didn't have version exclusive colors in X and Y (at least that I know of) What the heck? Also, you can't examine the facility you want before you get it. I do find fishing a much bigger hassle in S/M/US/UM, which is why I mostly traded for the new aquatic Gen VII Pokemon since I didn't want to hunt them down myself. Another thing about the Festival Plaza is the Festival Coins and the global events that they had (the name is escaping me). If you start up a new game now, after they've done all of the global event things, you have to tediously grind for Festival Coins. You can't even get FCs for the events that were a success since the new save wasn't a part of the event. There's also some problems with the Festival Plaza minigames, the RNG is so up-in the air and the timer will NEVER STOP, even when at moments where it should. And then each minigame varies on how many FCs are given out for each star, and it isn't standardized at all. The "type enthusiast" minigames seem to give out about 14-16 FCs for 3-4 stars, which probably makes it the highest-FC yielding minigame I know of. Everything just makes the minigames feel kinda cheap. You should get FC by talking to plaza guests. Don't bother with the missions. Even without fortune tellers I usually get around 400-450 FC by doing one lap. Every hour you can do that again (the game gives the symbol on the Festival Plaza icon in the menu if you can talk to more guests). If you get quadruple FC for the day from fortune tellers you can get like 1600 FC for one lap, so if you do that like three times on one day that's about 5k FC. FC isn't that hard to get. I've got over 170k FC in my Ultra Sun file, and by far most of it gathered without fortune tellers. I gathered over 315k FC in total in my Ultra Sun file, so I spent about 145k FC. I do think Festival Plaza is neat for EV training with bouncy houses. I can EV train to any spread in a matter of minutes (while finding a pokémon to SOS chain for a single stat can already take longer, and you always want to EV train multiple stats). Rare Kitchens are also nice for levelling stuff quickly to level 100. With two Rare Kitchens I can bring anything from level 56 to level 98 in like two minutes, and then use Rare Candies for the last two levels for Hyper Training. The bias towards Gen I gets annoying. We only get Alola Forms of Kanto Pokemon, and we don't get new Alola Forms for anyone(much less non-Kanto Pokemon) in USUM. Gen 6 brought up new Megas in their next Gen 6 games(ORAS), why can't USUM give us new Alola forms? The Ice Stone doesn't evolve any new Pokemon, only alola forms. They could've done more with the stone. Despite being Pokemon Sun and Moon, you can't even get Solrock and Lunatone as an Island Scan. Those are so obvious inclusions. Also, I am upset you can't get the Oddish line, because Bellossom is based of hulas and luaus, and that's something associated with Hawaii, They gave us a flower wreath, but not Bellossom? - The Trials had fun concepts but I actually found Totems even harder than the Gym Leaders or Kahunas. I'd rather have Full Restores over buffed stats and 2-on-1's. - Megas were abandoned. I wasn't expecting them within the story, but no new ones were created either. - The National dex is impossible to complete within the gen. G5 had this problem too, then G6 fixed it. - Rotom Dex. Couldn't you be more like Poketch or HS's menu instead of just... y'know, a map attached to a Zelda Fairy? At least come out to fight. - Played the LGPE demo and the controls and catch mechanics are definitely a problem. Sadly they're the bulk of that game. 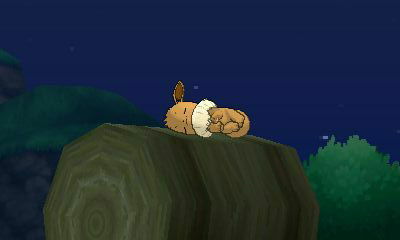 Also I feel that, while making the partner Pika/Eevee stronger, they almost trivialize the game, especially early on. - Tiny detail, but the TCG should've used "Z" instead of "GX"
- The Anime dub moved to Disney XD and now I can't watch it on Saturdays. Ultra Sun is neither a sequel, or a definitive edition, it's just there. The story was horribly botched, the looker mission removed, and the rotom dex is infinitely more annoying than before. Ultra Sun is still the better game IMO, but it failed to be the objective definitive edition like Platinum was. To get the best gen 7 experience, you need to play through Sun/Moon for the story and then Ultra for the added content, which is just not an ideal situation, since both games are still very similar, and the unskippable tutorials and cutscenes wont help either. except they split it into two for some reason, and put out a rushed alternate story. Also the misleading marketing with Ultra Megalopolis being hyped up a lot. I dont even think GF knows what they wanted the game to be. Machamp Shove- The Machamp literally cradling you like a baby is really awkward looking. Why can’t we ride on its shoulders? It isn’t as if Machamp can’t support the weight there. WHS reasons. It's why we have to wear the safety gear as well. You know for such a great Pokemon region. Alola sure has arguably the worst adaptations in Pokemon history. The spin-offs are mostly either re-releases of older games featuring a few Gen 7 Pokemon or they are Kanto spin-offs released in Gen 7. Then we got the Pokemon anime. I like the Sun & Moon anime but from the fan reception I've seen, I do understand why they think it's bad and to be honest the main story is not good. The filler content, awesome. Main story, terrible. And then Pokemon Adventures is easily the most disappointing, not bad but disappointing. I mean for the Pokemon Anime, you pretty much always know what your getting but the Pokemon Adventures manga can be pretty unpredictable in story-telling and for the first time, I've seen the Pokemon Adventure fanbase pretty disappointed with a chapter, regardless if you love it or hate it. Pokemon Adventures is my favorite adaptation. It's the holy grail of Pokemon storytelling. You know it, I know it, those who have never touched the manga have at least heard of it. This is a subjective viewpoint but it is a very very commonly held subjective viewpoint that there is some truth to it reflecting on Pokemon Adventures own story-quality. When the anime fails to deliver to most Pokemon fans, this is the popular next alternative to some fans who've grown up with the Pokemon series but haven't given up on it. I know this because I've seen Adventure fans spoke how they were introduced to Pokemon Adventures, they were drawn to the anime as tiny kids but the anime couldn't satisfy their storytelling needs as they grew up and that's where the Pokemon Adventures manga comes in. This especially happened in Gen 5. A lot of people who did not like Best Wishes went to see what Pokemon Adventures take on Black & White offered and they were impressed, shocked, laughed and some put the book down with tears. Even a couple of people I know who don't like Gen 5 at first found Unova a much more compelling region thanks to Pokemon Adventures. 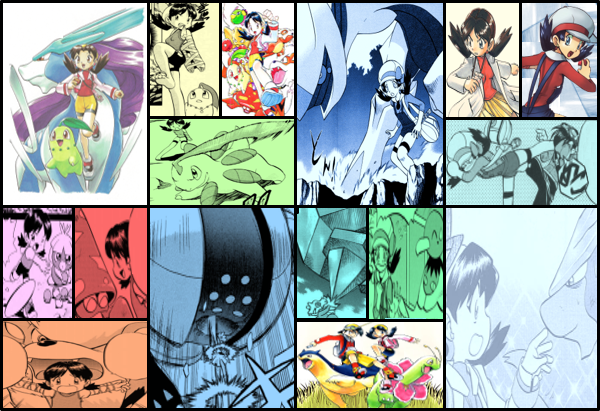 Me personally, I think the Diamond & Pearl anime is a bad Gen 4 adaptation, didn't convince me that Sinnoh was all that interesting until I read Pokemon Adventures Diamond & Pearl which made me realized just how mystifying and deep the Sinnoh region and it's lore is. I think you get the idea that Pokemon Adventures has set itself an extremely high standard of story-quality that Pokemon Adventures fans have come to expect, so high that I can't help but feel that Kusaka isn't able to reach such heights with Gen 7. Pokemon Adventures Sun & Moon is arguably the first real chapter where the majority of the Pokemon Adventures fanbase have expressed some disappointment to it. I know a lot of people who defend this chapter and those who hate this chapter but never before have I seen this much disappointment from both ends. Pokemon Adventures Sun & Moon is not bad, it's okay for a manga at the very least but as a Pokemon Adventures adaptation of the games, it's very disappointing which is actually a surprise to some older Pokemon Adventure fans who are so used to the high standard of story quality that Pokemon Adventures delivers, even ORAS which is consider a boring exception is nowhere near as disappointing as Sun & Moon. To sum it up, it's the Pokemon Origins of Gen 7 where they cut so much of the region-wise content and focus only on the important parts of the story. They still have a good focus on the story. Not only that but easily Sun & Moon's greatest and most powerful strength is that the manga does an amazing job on capturing the fact that the Alola Region is full of mysteries. I believe it's ultimately the mysteries of Alola that kept much of the fanbase still interested in this chapter despite the disappointment and it actually never occurred to me before that the Alola region of the games is arguably the most mysterious region of the Pokemon series to date but they still cut out so much region-wise content in the Pokemon Adventures adaptation that I and others can't help but feel disappointed. For me personally, I was expecting Kusaka, the writer of Pokemon Adventures, to make some of the most forgettable locations of the Alola region like in past entries of previous regions into some of the most memorable moments of the series. Only in Pokemon Adventures can a story have me excited of seeing the characters travel to locations considered boring, unmemorable or not really that talked about by the fanbase. I thought of the idea of Sun (Elio) & Moon (Selene) traveling to Kala'e Bay, one of the forgotten locations of the games, and watch the sparkling Fineon together at night-time or camping out at the Lake of Sunne and Lake of Moone and watch the stars together as we see a scenic shock of the giant castle zooming out into a small building of a massive lake reflecting the beautiful stars. Even though Pokemon Adventures greatly disappointed me who had such high expectations, I will say this though. Not all the Pokemon Sun & Moon adaptations are considered bad or disappointing by the fanbase. There is the awesome TCG after all, easily the best adaptation of Gen 7 which I suppose says a lot about the spin-offs, anime and Adventures manga. Instead we are having the Dex holders in the climactic battle, along Moon doing the things Lillie should have been doing. Along with seemingly dropping some lose ends to the side or... with the rest of the cast... just being there to progress the story. (The Manga's Ultra Recon Squad... isn't that much better compared to the games.) That half a year time skip was the beginning of a lot of things going downhill for me. Even the anime had done this better despite being different from the games, it kept the spirit of it intact and done better with some of the characters. Instead we are having the Dex holders in the climactic battle, along Moon doing the things Lillie should have been doing. Along with seemingly dropping some lose ends to the side. No, actually I wouldn't say Adventures Sun & Moon threw out the central hooks as in there's more than one big central hook here. The Aether Family and their character dynamic still plays a big role here and they still play a major role in the mystery department but I wouldn't say that's the only strong central hook of adapting Alola. Your forgetting the one big thing that Pokemon Adventures is succeeding at where the anime is strongly failing at and that is adapting the mysteries of the Alola region, especially the plot around Ultra Necrozma which is actually flowing pretty smoothly as a mystery. Also I understand that your upset about Lillie's story but I honestly think Gladion is a far more developed and interesting character in Adventures then he is in the anime where I'm not really sure what he does anymore in the anime. As for the Mother Beast plot, oh man I hope they don't go to the rushed route I suspect they are going. I hope I'm very wrong about my suspicions. I still think it's early to judge but I really hope I'm wrong about where Kusaka is going with that Mother Beast plot. You need to look at the latest episode involving Lillie getting a Z ring while you have the chance, we are hitting the Mohn story and it is building up to good things... in fact you should watch the Poni Island arc when you get the chance. It's development ahoy for the last season. The anime is developing a pretty big central theme on family that was touched upon in the games. Family, working together... all that. As for Manga Gladion, he had good potential and that got thrown out because of an out of nowhere injury. Yes, Silvally evolved... but he was put to the side along with his trainer. As for Necrozma, he himself is fine enough... but it isn't any better than what we got from him in the games and the anime did something else entirely with him. As for Manga Gladion, he had good potential and that got thrown out because of an out of nowhere injury. Yes, Silvally evolved... but he was put to the side. I haven't seen the latest episodes but I know anime Lillie is better but I still disagree about Gladion. There was more to Gladion that just his Silvally evolved, way more than what the anime ever did from what I've seen. You got him entering tournament he meets all these characters. Gladion, this serious dude is suddenly puzzled by Moon's love of poison-types, annoyed that Hau doesn't care much about think battles seriously and after that fun little tournament, we actually see him do stuff. I'm talking about investigating Ultra Beasts and Tapu Guardians, joining Team Skull as an enforcer, battle Sun again but as Team Skull's enforcer only to be completely pawned by Sun's Z-move attack which does more than annoy Gladion, it delivers a crack to Type: Null's mask worrying him, Gladion's insane mother having a disturbing effect on him of seeing woman in power and to top it off he makes a badass appearance fighting the Ultra Beasts with his Type: Null as it evolves to save his sister. I don't just think Gladion's role is easily better than the anime's. I think it's one of the best parts about Pokemon Adventures Sun & Moon. Now maybe your right about anime Gladion being better than Adventures Gladion if I see those new episodes your talking about but right now, Adventures Gladion is easily leagues better than Anime's Gladion. As for Necrozma I once again disagree. I not only think Pokemon Adventures Sun & Moon's take on Necrozma is leagues better than the anime's take even though Adventures is not even finished, the anime's take being a different take that many anime fans found disappointing but I also think it's leagues better than the games with a simple little change. Foreshadowing Necrozma through a mysterious clue, his actual name, mysteriously through the Pokedex instead of the "Blinding One" by the Ultra Recon Squad in USUM that just felt kind of tacked on there. That's actually another thing I liked about Adventures, it did the Ultra Recon Squad better than USUM's as well but that's just me personally. The problem is that tournament was the only few actual battles in the manga, and I am talking about Gladion post time skip. (I know Gladion has done a lot in the Manga.) Where everything he has done amounted to nothing because of an injury that came out of nowhere. Type:Null/ Silvally being the key to Lillie's memories. In the anime, Gladion also had chewed Lusamine out for her neglect. Type:Null busted his helmet to rescue Lillie from Faba and kicked his pokemon's butts. Then come the post Nihilego nab Lusamine episode where Gladion and Lillie went to the Altar of the Sunne, worked together to fight Totem Kommo-o (Instead of Gladion and Silvally doing all the work.) and then Gladion actually being there for the Mother Beast fight. Now we have Poni Island building up to the Mohn side plot and the episode where Lillie gets a Z Power ring. The anime has given good pay offs with Gladion, the Manga has not. As for the Recon Squad... the problem with their Manga counter parts is they did the exact same role as they did in the games... help the protagonists get to Ultra Megaopolis, give lore on Necrozma and get taken advantage of by Lusamine, not in that order. The only improvement is that this was done in a quicker pace, otherwise Nebby was a jerk for ditching Sun and Moon into Nihilego's world and taking half a year to come back. Otherwise, Necrozma was foreshadowed... in a better way in the Manga, but now it is making an error that USUM was demonized for doing. Mixing two plots together that as of now... don't really work when mixed together. (And it is a shame since having Gladion and Lillie there for the climax would have made it stick together.) All the material for something better was there and it was miss used. Necrozma's Arc, Gladion was also there and was apart of that sprawl. Now we have Poni Island building up to the Mohn side plot and the episode where Lillie gets a Z Power ring. The anime has given good pay off with Gladion, the Manga has not. There's a lot of battles in the SM arc but you have to remember this isn't the anime. Battles in Pokemon Adventures play more like, it's kind of strange, character development or something that drives the plot forward in the sense of One Piece or Naruto and there were enough battles for Gladion to keep me invested in his character development. As for the post-time skip, I don't know about that. The Mother Beast criticisms from Adventures I understand because I do think it's heading to a more disappointing side of things but I wouldn't call his character amounting to nothing because of an injury because it feels Gladion's and Lillie's story is far from a conclusion, which you admit it looks like it will be heading to stopping Faba. As for the anime, still think Adventures Gladion is better than Anime Gladion. Personally, he's an alright character in the anime and the Silvally moment was a badass and sweet moment but I personally think Gladion from Adventures is just better even with the Mother Beast fight from Adventures and the anime taking into account. Also if what you say is true about the anime giving good pay-off, that's fine but we should still wait to see if Gladion does anything, if anything.